Inviting an Ex to your wedding day is only okay if the both of you are on good terms and have moved on from the chapter you shared. Last year, this was witnessed when Prince Harry’s ex-girlfriends, Cressida Bonas and Chelsy Davy were among the invited guests who attended his royal wedding to former American Actress Meghan Markle. 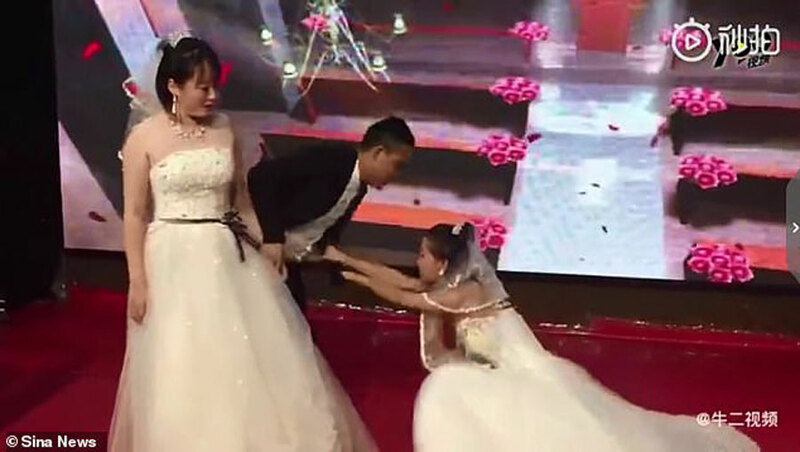 In china, this was not the case when a bride was left in shock after her groom’s ex-girlfriend crashed their wedding wearing a bridal gown and begging him to go back to her. In a 30 minute video shared by Daily Mail UK, as the groom was about to kiss the bride on a stage. All hell broke loose, when his ex-lover stormed the ceremony while yelling at the groom ‘it was my fault’ and kneeling in front of him. The bride watched in shock and after failing to control her cool decided to walk away from the dramatic scene. 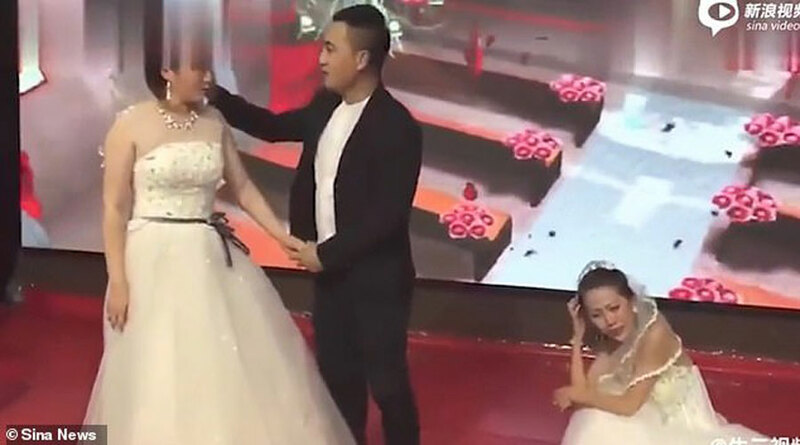 Daily Mail says that according to Star Video, affiliated to Hunan Legal Channel, the groom broke up with his ex-girlfriend because their personalities were too different. And definitely was rather surprised to see her showing up at his wedding uninvited, and even wearing a white gown like a bride. 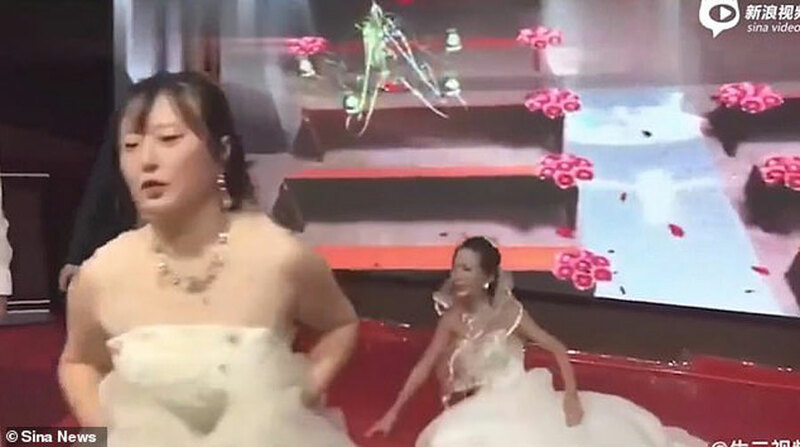 The ex-lover was left alone in tears on the stage as the groom run after his bride who was disgusted by the situation. The wedding emcee also caught by surprise of the scene was heard saying, ‘we have an unexpected situation here’ before adding ‘perhaps this is the reality of love’.